For over 40 years Northfield Fireplace & Grills has sold and installed many different types and brands of fireplaces. Today we have refined our products to offer our customers what we feel is the best brands with the best features with the best prices. You can be sure we will guide you through the selection process to make sure you will be getting the best product that meets your needs. Heat & Glo fireplaces offer the widest selection of fireplaces from gas, wood, and electric. There product lines range from modern flames to traditional and are regarded as one of the leading brands in the entire Hearth industry. 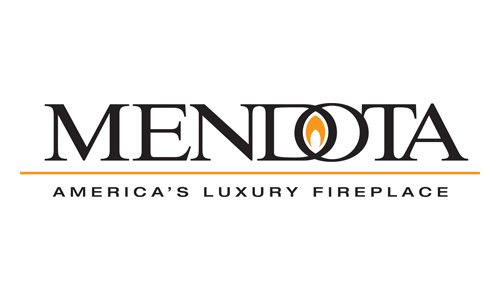 Mendota fireplaces specializes in gas fireplaces only. Its there only focus. For that reason, the quality of a Mendota fireplace is second to none. They offer some of the most realistic flames on the market. The decorative front choices are vast. You can pick from many different stylish designs to accent anything from modern to rustic. Check out their virtual fireplace designer to make the fireplace of your dreams! 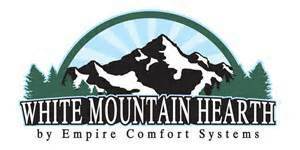 White Mountain Hearth products specializes n gas Ventfree and Direct Vent fireplaces. Their products range from linear to traditional styles and offer superior value and quality. Quadrafire fireplaces are engineered for performance. These units are built out of heavy grade steel that hold the heat of the fire and radiate it off the glass. The patented Quadrafire burn technology burns the fire 4 times before it exits up the chimney. This results in up to 16 hour burn times on some units. If you are looking for high efficiency and heat, Quadrafire is the perfect choice. Stuv is a Belgium based company that prides themselves on the minimalistic design fireplace. You will see no hinges or handles on these units. they offer the biggest glass area of any other unit in its class. If you like the minimalistic look, than Stuv is the unit for you.